Lisa la Pelle offers shipping within Europe. After filling out your address at checkout the shipping costs will be displayed. Free pick-up in Noorbeek possible to choose at checkout. If you want to order outside Europe, please contact us for possibilities. 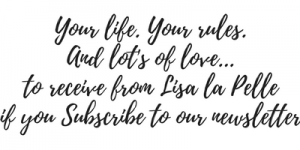 Lisa la Pelle offers handmade products. After completing your order, the product(s) will be produced, packed securely and shipped within 2-4 working days. If you need an express delivery, please contact us for possibilities before placing an order. If we can help you, we absolutely will. If any delay will occur, we will contact you.